2019_04_23: Welcome to a very special Chapter Release Day! Not only is Daughters of Fate Chapter 20 available as of 4:30 PM, but my daughter Hadleigh turns one year old today! Happy Birthday baby girl! 2019_04_19: Welcome to Chapter 19 Release Day! Enjoy the latest! 2019_04_16: It’s Taco Tuesday! It’s also New Chapter Day! 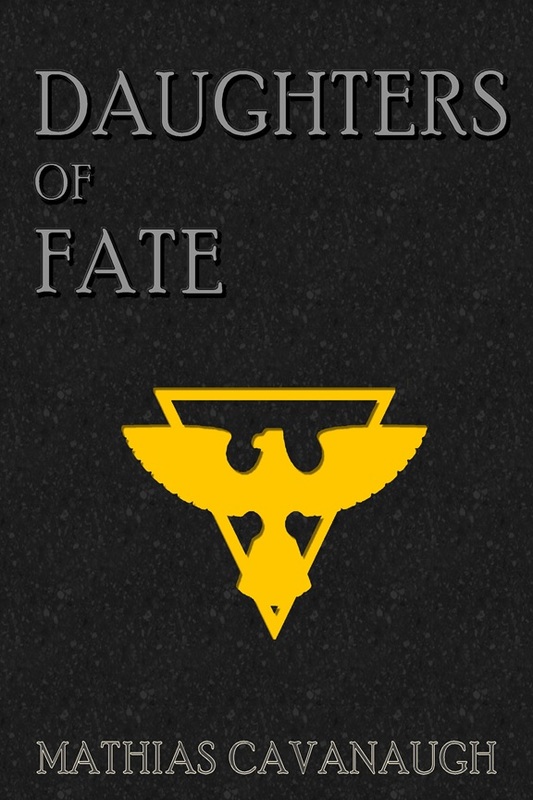 Welcome to the world the latest installment of Daughters of Fate! Chapter 18! 2019_04_12: Chapter 17 is now LIVE! Also, I forgot to announce that Chapter 16 is now available as well! 2019_04_05: Happy Chapter Release Day! Chapter 15 is now live! Lots of editing has gone into chapters 18 and 19 to get the story back on track! Chapters 16 and 17 coming next week! 2019_04_02: Chapter 14 is now up! Chapter 15 planned for Friday with 16, and 17 to follow! Have a great day! 2019_03_29: Chapter 13 has been let loose upon the world! 14-17 are waiting their turns. 2019_03_25: That’s it, Chapter 12 is now live! One day earlier than planed! Woohoo! Chapters 13 nd 14 coming soon! 2019_03_21: Chapter 11 is GO! GO! GO! Chapters 12, 13, and 14 are back from editing and being reviewed as we speak. 2019_03_16: Chapter 10 has now made it to publication! Chapter 11 is being completed as we speak. Happy release day to me! 2019_03_12: Chapter 9 is up and live! Chapters 10 and 11 are being worked on! 2019_03_06: Welcome to another release day! Chapter 8 is now live! Chapter 9 being polished. Chapter 10 getting ready to be sent off to the editor. 2019_03_06: Chapter 7 is now live! 8 and 9 coming soon! 2019_02_28: Chapter 6 is now live on MathiasCavanaugh.com and will be on Wattpad in a bit. Appologies for it taking longer than I had planned. 2019_02_22: Chapter 5 is now live on MathiasCavanaugh.com and coming later today to Wattpad. Chapter 6 is back from editing and getting a minor redo. 2019_02_20: Chapter 4 is live! Made some serious changes and hoping I didn’t screw things up! LOL Chapter 5 is back from editing and being reviewed. 2019_02_17: Chapter 3 is now available and Chapters 4 and 5 are off to editing. 2019_02_15: Chapter 2 is back from editing. Target pub date moved up to 2/15 to 2/17. Chapter 3 also back from editing. Undergoing final review. 2019_02_13: Chapter 2 slated for release on February 21st, 2019. I plan on releasing the first few chapters on an accelerated schedule. Then backing off to every two to four weeks.